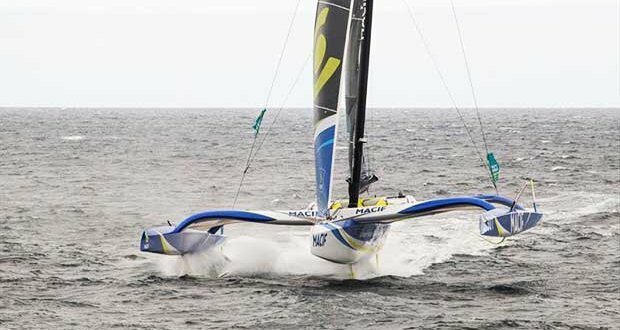 The trimarans of the Ultime class will take off from St Malo in the direction of Point-à-Pitre, at fabulous speeds probably never achieved before, this Sunday at 2 pm. 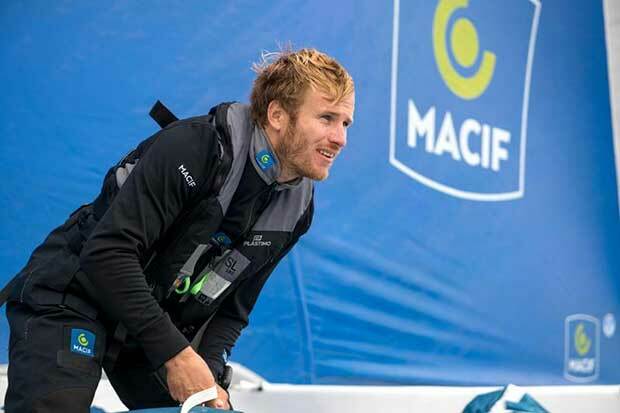 François Gabart, skipper of the MACIF trimaran and his Design Office Manager, Antoine Gautier, explain why this short-lived sprint is so exhausting. A question for the general public. What is the hardest? A Transat in 10 days or a Transat in 7 days? Do patience and the fullness of time achieve more than force or fury? Therein lies the question of the time spent at sea and of speed; two factors that are inversely proportional. Antoine Gautier, Manager of the MerConcept design office, the Macif skippers racing team, agrees with this, which is good news. “The stress and the incredible level of competition are at their highest, over an extremely short period. The pace will never have been as fast and the sailors will never have slept as little as in this race. And it will be an even greater feat, since the Atlantic has never been crossed before by foiling boat. And now, it seems possible.” This means that it is conceivable and potentially achievable, since the boats are made for this purpose and the men have been preparing for months. Yet, for all that, it does not mean that the skippers perched on their foiling trimaran will succeed. Is it impossible to foil when the sailor sleeps? François Gabart doesn’t see things this way: “To foil, you need favourable weather conditions, with not too much sea and good wind angles. We generally allow ourselves time to recover if these conditions are met and the weather is stable.” But can you sleep and foil? Yes, says the record holder of the single-handed round the world. I tested it during training and it doesn’t alter the problem. Foiling doesn’t make the boat any more dangerous. She is less likely to dig in. On a multihull, you never sleep very deeply, because you are constantly alert, but you do have to recover from time to time.” And make progress all the same. “So, you need to be clever about when you choose to rest,” confirms Antoine Gautier. The faster the race, the faster the skippers will feel the effect of great fatigue. Anyone who knows about sailing, knows what state the sailors come back in, from a stage n of the Solitaire du Figaro. This route du Rhum will have them in the same state, but after six days and not just two or three.” Fortunately, you don’t have to stack rings under your eyes.